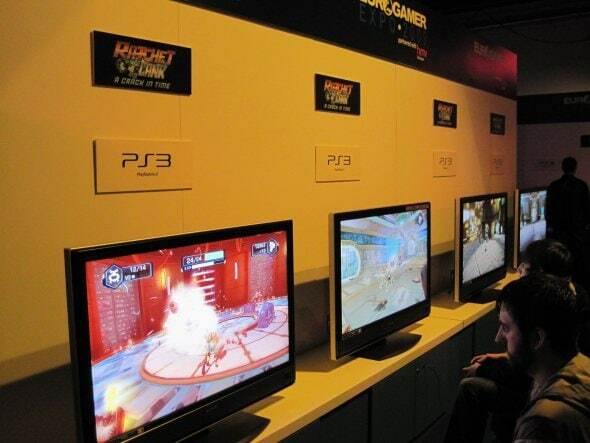 Once we received our passes we walked into the first of two rooms with an abundance of HDTVs and rows of games. 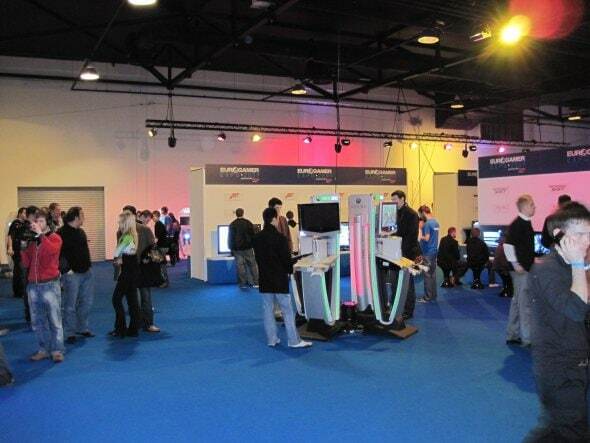 The main room had the majority of games in with another room which had the indie games, careers fair and a selection of other games. 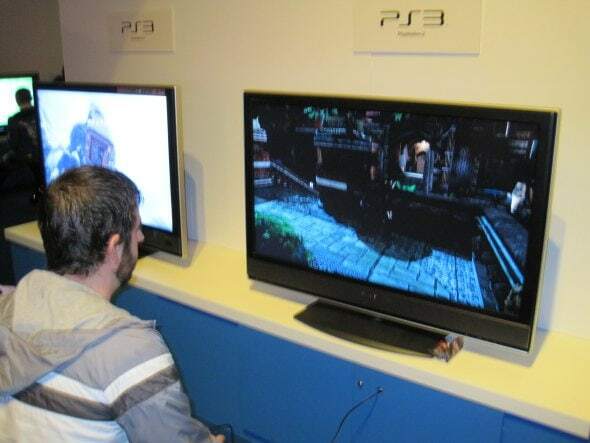 Both rooms had an 18’s only section which had some of the best games on display which included Heavy Rain, Left 4 Dead 2 and God of War III. The picture below was taken as soon as we got into the venue, this was quietest it would be all day – within 30 minutes, the whole place was packed with people! Unfortunately, I didn’t have the chance to play on everything but I did get my hands on Uncharted 2: Among Thieves, Ratchet and Clank: A Crack in Time, Red Steel 2, Need for Speed: Shift (normal and with Nvidia 3D gaming glasses), Alien Breed and God of War III. There were a few that I didn’t play on, but mainly as they’ve already been released (FIFA 10 and Halo 3: ODST) or I’ve played the demo (Brutal Legend). The other games I didn’t have time to play, I did stay around have a nosy at how they played, looked and other people’s response to them. The reason why we couldn’t play them all was due to the queues for certain games were 3 deep and most people played for around 10-20 minutes each. There were also a few talks from some of the industry’s professionals, which again, we didn’t have time to go to as we wanted to get around everything we wanted to see. There was a talk from Team 17 which I wanted to see, but that was on Wednesday which was the day I couldn’t go!! But I did manage to speak to a couple of the producers from Team 17 who were at the Alien Breed demo and found out a bit of information about Alien Breed and some hint on where they’re going to be heading in the future. But I’ll explain some more of that in a later post. Being a great big games nerd myself, I loved my day out of my parents’ basement, although the sunlight wasn’t so good on my pasty skin, it was great to play on the biggest games out/to be released. Keep your eyes open for a deeper look into the games that I played at Eurogamer Expo (Leeds) and what I thought. It was great to spend a day just walking around and playing different games. I’ve got my first taste and would love to go one step further and get myself to GamesCon or possibly even the E3 gaming expo in Los Angeles in the not so distant future – if you want to check out when those upcoming games shows are being held, you can find that information all in one place over at Conference Calendar’s Gaming Expos page! 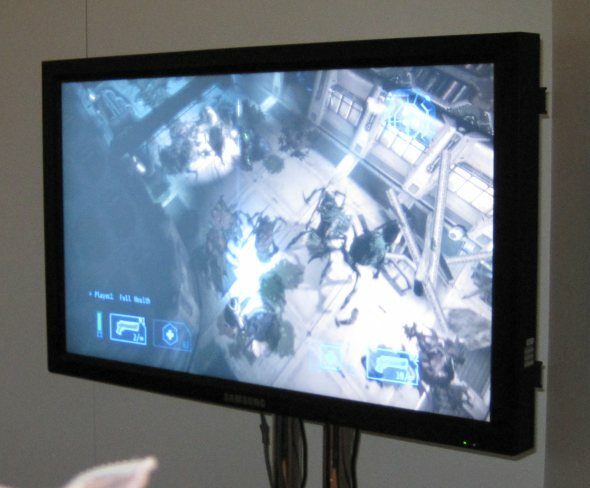 UPDATE: You can also read about Zath’s thoughts of the other venue (which was attended by Christian) by reading our Eurogamer Expo 2009 (London) review. 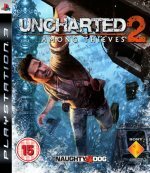 First up is Uncharted 2: Among Thieves. After playing the first Uncharted I was expecting this to be just as good if not better and it certainly didn’t disappoint. I had played on the Uncharted 2 multiplayer BETA version before the expo, but the demos on-show were the single player versions and it was brilliant. You had the choice to play different parts of the game and I chose to throw myself into an espionage part and a good old stroll through the jungle with the odd bullet whizzing around. There have been a few new animations added to the movement of the characters which makes them flow a little better than the first. I’m saying a little because the animations that were used in Uncharted: Drake’s Fortune was unbelievable and you can’t really get much better. The graphics were stunning and I again, I found myself stopping just to take in just how good it looks. From what I’ve read, the espionage part of the game is only a small part of the game which shows a darker side to Drake in his past but is still good fun. 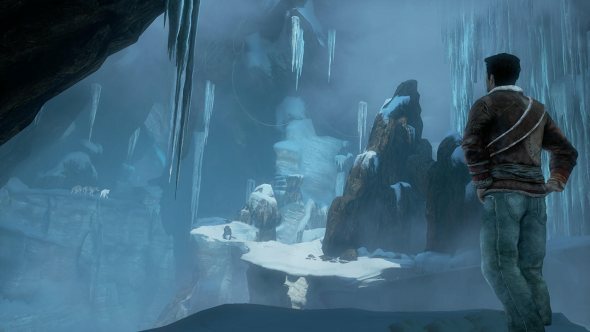 Another level I saw but didn’t manage to get my hands on was just after Drake wakes up in the train carriage hanging over the edge of the cliff which was seen in the first trailer that was released for Uncharted 2. From what I saw, there was a lot of scaling involved as you had to climb the carriages to get to the top to survive. From the limited amount of playing time I had, it’s made me even more hungry to play what has already been tipped for the game of the year. Someone give me £40 so I can buy it!! Next up is Need for Speed Shift (2D and 3D). I’m not a massive fan of racing games, but I will have a dabble every now and then and had it not been for Zath himself, I might not have played this one at all. I was quite impressed with how real it felt (not that I race cars for a living mind), and it was good to see that the AI cars were making mistakes too. You could see this going on in front of you and behind you by using the mirrors. I preferred using the view from inside the car which is odd as I usually drive with the camera behind the car. It seemed harder to lose the race than to win it as the car used its brakes automatically when approaching corners, but it was up to you to accelerate and steer out of them. I still found the ‘Get the hell of out my way’ method to be very useful and much easier to go through the cars then around them. Thought I’d save petrol! Visually the game looked very impressive, especially the details on the cars. I’ve quite liked a few of the Need for Speed games in the past and that has carried on with this. You’ve got the crowd in the stands cheers/booing you on and, on the course I chose, some nice scenery which surrounded the track. After playing this, we walked around for a bit and came across the very same game on PC using NVIDIA’s monster PC’s using their 3D gaming glasses system! This was great fun. We had to put on 3D glasses which worked on a sensor, and it’s great to say that I’ve now played a game in true 3D. 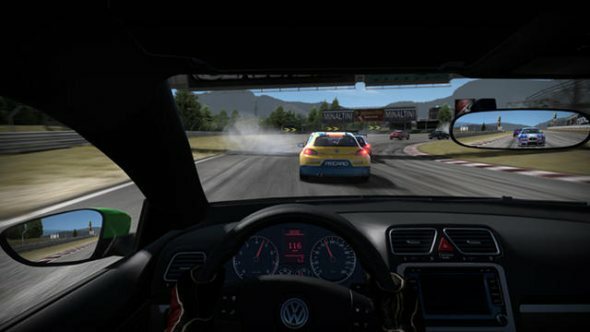 It was impressive to play and ran incredibly smooth but the 3D element of the game only seemed to be on the car (we used the view from inside the car again). Outside the car didn’t seem to have much feel of depth to it, but it still looked very crisp and played brilliantly. 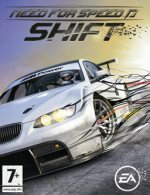 Overall a decent racer that I might take a closer look into, but unless you’re a massive racing gamer, there are other titles out there that I’d rather have. The 3D side of the game was impressive but didn’t take my breath away, but it’s a sign of what’s to come and can only imagine how impressive future games like Call of Duty is going to be like in years to come. My final game in this post is a digital download game from Team 17 called Alien Breed Evolution. Now some of you older gamers will probably remember the first Alien Breed that was released on the Amiga and know how much of a classic it was. I unfortunately and ashamedly never played the original but I have played this version and it’s brilliant. There were two of us playing at the same time and we were walking through a space station shooting hordes of aliens and trying to find a way out of the carnage. It’s a simpler shooter but done very effectively and has left me wanting to play more. To say this is only going to be available as a download game, the graphics were extremely impressive and not only that, I found out that you can fit the whole game onto a 500MB memory card! How can something that looks that good only require a small amount of memory? 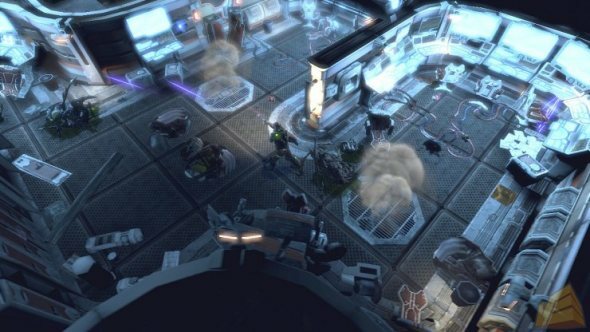 The animations on the aliens and your characters are cool and the dynamics thrown in such as a fire in the corridors and a few sparks of electricity all add to the atmosphere of the levels. The full game will actually be split into three episodes with the first of them being available on XBLA before Christmas and not long after that, on PSN. The second and third episodes are to be released early next year so we won’t be left too long between the episodes. I was also told by one of the Team 17 guys that each episode will end with a cliffhanger so it will leave us wanting to know and play more. But from this demo, why wouldn’t you want to play more of this. Overall a very impressive shooter that is going to be addictive as hell and is definitely going on my ‘Most Wanted Games’ list.